Overall, this is the strongest social listening tool that I have used to help monitor brand keywords and audience sentiment. The Natural Language Processing to understand the context around the conversation in relation to the monitored keywords. Then, the ability to turn that data into understandable charts that can be passed along to the client to help lead a strategy discussion. Brand Passion is a nice wrinkle to understand how people are actually talking about the product—not just saying they like or love it. The team at NetBase has been very helpful from the jump and set up our team for success to best demonstrate success to our client. It's not NetBase's fault, but the changing access to the backend of social platforms hurts pulling in some numbers. But, this is not specific to NetBase. Other than that, we have had no issues with the platform and the team has been super helpful in ensuring that we have demonstrated success with our clients. While it might be pricey, you get what you pay for in terms of social listening capabilities. We are using for audience segmentation in relation to a brands that span from Travel & Tourism to CPG-based clients. Also, we are using it for keywords related to the brand—particularly brand key terms. This has been useful to identify platform, promotional and even content strategies. We just started using it for influencer campaigns to help track success and their language toward the brand. This has been a useful tool to understand the projected impact of campaigns on social and through their websites. "Changed the way we look at social insights"
Netbase has allowed us to track events, campaigns, and crises like we never have been able to in the past. Being able to share with leadership how one event compares to another has been a huge win for us in the social media department. There isn't a quick search capability. Would be nice for times you just want to look at a random keyword and pull back some intuitive data. IE something is trending on twitter and we'd a high-level look at the conversation. Have them out to run through the capabilities. Your mind will spin for a bit as you try to understand all the ways it could help your business, but the team will help get you on the right track that makes sense for your company. We're able to dive deep into customer preferences and feedback in areas where we need more info about a group of people or certain preferences that groups have. Netbase has also allowed us to gauge the impact of a crisis by comparing it to others that we have tracked in the platform. Finally, through alerts specific searches we have been able to identify issues in a manner that just wasn't possible before bringing in Netbase. Netbase is a heavyweight social listening and insights tool. It has a great amount of capabilities in the way it pulls in data points and also great ways to analyze / filter data. It is fairly easy to use and offers a treasure trove of valuable actionable insights. I like how easy I can manipulate my data points. The filters function is great and I can personalize my data the way I like. We used Netbase for a recent pitch and it generated valuable social conversation insight that fueled creative thinking and ideas. Being able to screenshot and show individual tweets or social posts were quite powerful being used in pitch decks and presentations. There is a little learning curve when it comes to first using Netbase, however after a few training sessions and collaborations with the Netbase team, I can confidently use the tool. I might also suggest a more modern and sleek interface - other than that, it's a great tool. Netbase is great once you get the hang of it. I would experiment with different keywords, what your data needs are and how you can use Netbase to deliver on this. We primarily use Netbase to gain insight from social conversation to stimulate creative thinking and ideas. This included pitches, current clients, briefs, campaign launches and other ad-hoc social listening tasks. "Netbase is central in our share of culture process "
The practical reality is that doing in-depth fieldwork is time consuming and expensive. NetBase allows us to formulate hypotheses, expanding our ethnographic work, and track changes in brand perception through time. This helps us uncover really meaningful insights and ensure that our creative work is smart, not just clever. There's really nothing I dislike about NetBase. The biggest struggle is simply getting to know all of the functionality and remembering to sue it to its greatest potential. This is twofold. First, we are typically trying to determine what is the best way to reach an audience in a way that will create a deep connection with a brand. So the information we get helps inspire and inform campaigns, from tone and feel to the "big idea". Second, it allows our teams to align client KPIs with real-life problems customers have. "State-of-the-art tool drives business insights"
The best thing about NetBase is being able to get real-time insights to help inform business decisions. It's like a giant focus group right at your fingertips at all times of the day. With NetBase, you have the ability to get high-level information or drill down into details, which is helpful based on the audience you are sharing information with. This is a plus, but there are always site updates. It would be helpful to receive notices of these more often. It really is the best online listening tool our agency reviewed. From an agency standpoint, NetBase has made an impact both internally and externally. We use it in various ways for our B2B clients and it truly is a game-changer from a new business standpoint. "Really liking NB so far"
Still trying to figure out why the best way to put together dashboards that I can share out to the broader teams. This isn't a dislike of the platform but just a struggle I am experiencing currently...but working with Kelsee to figure out! It's helped to provide insights on why sales are up or down during certain weeks, helped me to know the latest trend on how are using our products. "Powerful tool, industry leader, superior service"
Netbase is constantly advancing its solution and regularly incorporating new features within its roadmap based on customer feedback. The topics, themes and dashboards are extremely customizable and there isn't a widget Netbase missed. Our name is fairly generic which has it's challenges when setting up monitoring but the fine tuner has saved us on many occasions and has helped us filter out irrelevant topics. I only wish we had a dedicated FTE that can maximize the benefits of the solution. With how rapidly the industry changes, it is challenging keeping up with new roll-outs and finding use cases to incorporate within the program. There is certainly a learning curve with this tool and it takes time to reap the benefits. Practice makes perfect. We primarily use Netbase to monitor our overall brand, competitor insights and media relations. Netbase is a powerful solution that has helped us identify key conversations taking place within our industry. The real-time streams and notifications have helped us stay relevant and react quickly. "NetBase Review - Coca-Cola "
I like the ability that NetBase provides when doing an in-depth analysis. There is nothing that I can think of that I dislike about the platform, to be honest. I much prefer it to other social media listening platforms that I have used - Sysomos and Crimson Hexagon. I use NetBase to provide public insight to help with overall marketing efforts at The Coca-Cola Company. I specifically use it for PR and digital issues management. Like the ease of use within the tool to look into unique topic ideas. Compare net sentiment across brands. Leverage theme ideas to better guide our leadership with future ideas. Nothing its Amazing, this tool has it all and more. Netbase is a one stop shop for all the needs of social! No other product comes close and will not. This is the one tool that listens to its user and makes real time updates that help leverage business ideas for brands! Being able to screen shot various graphs to help explain easier to our clients. The help link has been great to help brand leaders understand logic. I love how user friendly the interface is as well as the ability to create custom audiences. Having the ability to slice data into so many different segments based on location, demographics, time period, etc, helps us make truly actionable analysis and recommendations. I don't usually have any issues unless the platform goes down or there is a lag in updating changes to APIs. We do social listening and strategic planning for brands and having the ability to look at historical data has huge benefits in how we plan to activate against our audiences. We also are able to use it for real-time monitoring and have in the past been able to jump onto Twitter trends or moments more quickly than other brands of our size due to our ability to know what is surfacing within audiences such as teens that may be privy to trends quicker than other audiences. "Before NetBase, I was alone and naked in a cold, dark forest of nothingness. " I've been using Netbase for 4+ years now, and I honestly don't know how I constructed Content Marketing programs before discovering the tool. While intuition and basic "gut feelings" actually have lead me to creating award-winning campaigns for my clients, across multiple agencies, it wasn't until NetBase and the comprehensive suite of data & insights that I truly transformed my approaches from reactive/standard to proactive/forward-thinking. I sometimes do dislike to lag time in creating new topics with a broad(er) firehose approach, as well as the fact that agencies are allowed only one seat per account (outside of analyst and business seats). At a larger agency, and while trying to prove the efficacy of NetBase to teams not familiar with the platform, it's important that more people have access. See above. We use NetBase to actively listen in on conversations pertaining to client, as well as engaging in those via robust content marketing programs aimed to answer questions before social media users are able to ask them. "Great tool that helps you keep a pulse on what's happening in the world of social"
I really like the functionality of setting up searches and having the choice between using boolean and keywords, depending on how specific of a search I am conducting. Netbase helps our team keep a pulse on what people are saying about any given topic and is super helpful when we need to dig in and get smart quick for pitches or permanent accounts. One thing that I dislike is the interface, it could definitely use an update. Also, I wish that there was a spot within Netbase that pulled in the trending topics across all social platforms, this would be super helpful to use in many of our daily activities as one of the most important things in social is relevance! I also wish that Netbase had more control over pulling in social content from platforms like Instagram (ie, hashtags) for quantification. I find myself having to use the app itself for these types of inquiries. I would recommend using Netbase to get a read on what people are talking about in the social space, it is really helpful and helps you to quantify sizes of the conversation. Netbase is really helpful to prove out hypothesis in the social space. This is great when pitching new business and it helps us understand the landscape of how people are feeling and what their saying about any given topic or brand. "Great Interface and data quality / thematic analysis capabilities, questionable stability in the UK"
"Amazing Customer Service, Fast Insights"
This tool is best suited to find audience and conversation insights but needs a little more work on the measurement piece. Nonetheless, I have truly enjoyed using this great tool! Ask a lot of questions at the beginning of your process and make sure you have a specific objective for the social listening tool you're looking for. We utilize NetBase to better understand consumer social media conversation across various clients. We have multiple users within the same department, but the information gets shared with many departments in our organization. It helps us inform social and content strategies, as well as, reporting for social campaigns for our social clients. The potential of this tool is amazing, and we really wish we could use it completely. The ability to compare share of voice and dial down to the topic of discussion is great. The Ability to pull the data itself if great too - we just are never 100% sure the data we are reporting is accurate. Our team has a very hard time trusting the data we receive. The most frustrating part about this tool is the ability to receive help. There is no number to call and talk through a simple question. It all has to be submitted to the support team or we have to call our rep who has repeatedly mentioned he is no expert in the tool. Our team also dislikes the necessity to purchase support hours. We spent all our hours setting up our topic, so that when we had issues and questions/needed to make edits to this, the team was unable to help because we were out of hours. We had to follow guides sent in emails from support which were very robust and sometimes confusing to follow. Look for another tool unless you have a very unique company name. This tool is not solving any problems for us. It is actually causing us to not be able to report effectively. Thank you for your feedback. We believe that your feedback is very important. We have a dedicated global support team who respond to questions within 24-hours. Our answers are always robust to ensure we cover all possible scenarios that might occur after one question is answered. When it comes to topic clean-up and disambiguation, we have several articles and videos in our NetBase 360 Learning Portal to help. If you have professional services in your contract, our team of experts never leave an issue around topic disambiguation unsolved. In fact, several of our top clients have ambiguous names that have been cleaned and are now very effective in our platform. We’d be happy to help get you on the right track. Please contact your account manager so we can schedule a call with the right team. I love the amount of data this platform provides, as well as the ability to segment data so easily with its topic and theme set up. I also think its audience monitoring, segmentation and insights are incredibly valuable. There are very few things I dislike about this platform. I have recommended it to many people due to its robust nature. I would say probably the price point, as it's quiet pricey for smaller agencies or teams. Something that I like about Netbase is that they will incorporate your ideas into the platform on an ongoing basis. If you have a use case or are interested in a certain product, they can add it to their platform and have done so for us. It's incredibly useful for real-time issues monitoring through its alerting system. We have also found it to be useful in long terms strategic reports. I like the sentiment information and the bio terms/interests you can glean in the demographics section. It is a helpful platform to mention as part of our tool kit during new business meetings. Difficulty filtering certain topics. It is difficult to make any important decisions based off of social data....but that's not necessarily a Netbase problem. We also use Sprinklr and often get very different results. There is a learning curve and it will take you a while to understand how to use the tool and how to find the data you are looking for. The support team is great and really responsive so you will have help along the way. Netbase is great for ad hoc and new business related research. Often times it isd difficult to gain consumer segment and sometimes Netbase can help shed light on that. "Amazing data-heavy tool delivers valuable insights." The sheer volume of comments, mentions, metrics, and data that is pulled by the tool. The ability to zero in on conversations across the web and pull in millions of mentions is staggering. Very valuable data at your fingertips! Could use more ease of access to Instagram and Facebook data for Agencies. Not all Netbase clients are going to be in-house brand marketers with full administrative credentials to all social channels. A bit more focus on Agency clients, with the ability to pull data without registering Instagram profiles would be nice. Understanding our audiences as a means to improve creative ideation and pitches. Heavy use of social analytics for advertising campaign reports and wrap-ups. Use of social analytics to determine the value delivered by and derived from campaigns. "Netbase is the best-in-class social listening tool I've used "
"Best for sentiment analysis! " I really like the sentiment analysis. Since it's using NLP which is the most complex and accurate way of analysing language, I believe it outperforms the other tools for social media analysis. First thing would be that the UX of the tool is not the easiest to get used to. We really need someone to guide us through the tool unlike other tools that are self explanatory. The other thing would be for social media management. It's really a tool for analysis and it's missing some parts that could be relevant to a community manager. Social media analysis and understanding the sentiment around our brands and the key topics that our brand should be positioned around. "Netbase is a Great Tool for Social Listening"
I do like the social listening aspect of Netbase. It's easy to see the positive and negative sentiment and other areas a brand needs to work on. From an agency standpoint, I find it extremely helpful to research the short comings a brand has with their online presence for pitches. I don't like how complicated Netbase is. It's not as self-explanatory that I'd like it to be. You do have to watch some tutorial videos to understand the different areas of Netbase and what functionalities they have. NetBase is a great tool for social listening. I would highly recommend NetBase solely on the support that is given from them to learn each and every update they have. "Netbase, A tool for understanding"
The ability Netbase provides to track the overall emotion and perception of your brand if unparalleled . It helps you getting some in depth insight. Even thought the tutorials are very helpful, sometimes it's not as straight forward as you'd like to. you could easily get confused with terms such as: Primary terms, Secondary terms etc. Getting to know the sentiment towards the brand. how people react to our content. "Netbase is my favorite listening tool." Netbase's themes and dashboard functionality is superior compared to other platforms I've used. Their sentiment features make it easy to point the sentiment classification towards the subject of your query. Netbase has been more restrictive than other platforms in terms of looking at historical data. They have alleviated this issue with their new time frame of 51 months of historical data available. There's a number of use cases we leverage. We're identifying real time opportunities to create net new content and engage with other content. I track the beverage category to identify emerging drink types and brands to then identify 'why' their conversation is growing. NetBase is a very robust social analytics tool that's entirely customizable for all of your bespoke needs. We use it for campaign analysis. There are so many capabilities it can be hard to keep track of everything it can do. And it can take a fair amount of time to learn. Watch every video, use your support network to learn how best to use the product. Keep using it so you don't lose it (forget how to use it). We use NetBase retroactively but are realizing that it can be a very useful tool as we plan for campaigns. Netbase offers a giant amount of filtering options that allow very precise metrics, as well as an easy way to find a specific post or group of posts to tell a story through social listening. Sometimes there are so many different ways to splice the data, it gets overwhelming. Netbase is almost moving too fast for me to keep up with everything the platform can do. We use Netbase for quarterly reporting with our clients to understand conversation about their brand and competitor brands, as well as new business to uncover insights about consumer conversation and the category. "Fun use cases and helpful training!" It was really helpful to learn how other companies/agencies are utilizing Netbase to get actionable insights! User group meet-up could use a little bit more moderating. However, it was their first round so I believe it gets better! How conversations are reflective of a brand's awareness and sentiment of a brand can really impact interest and consideration. "Great for exploring new ways of using Netbase"
I liked the hands-on training session on Friday. It allowed me to ask a lot of questions on things I've often questioned and I learned a lot of new skills. Given that I'm already a customer, it's obvious when some of the presentations try and sell the product to the prospects. Uncovering consumer and brand insights. "Visually Stimulating and Informative Social Analysis Platform "
There are several nifty qualities in visualizing the data that I enjoy using. The charts displaying time/week engagement are concise and easy to read. The word bubbles always engage our clients as well as top postings. I also appreciate the dashboards as they are an easy and quick way to present data to a coworker or manager. Most of the social pull is based on Twitter feed rather than Facebook or other social feeds. It would be great to see if private Facebook data could be aggregated into specific behavioral or demo targets. In this manner, overhead insights could be pulled more accurately without jeopardizing privacy rights. if you have access to the their support team - DO USE THEM! They are a great resource and have taught me several different features that clean the data and give you better results. Especially with job postings and coupons that come up during social research. They also have preset filters that are specially tied to genres that can be useful if your client is specific to an industry and its influence. Social Analysis have helped with new business pitches and presenting new audience dynamics to the clients. esp. during times when publicity has not gone well. "I use netbase as a social strategist at OMD"
The simplicity of the platform. Everything is very clean and easy to use for quick listening needs. I love that when I need something quickly I can enter in the query and the information populates quickly with no lag time. Sometimes with other platforms there is a huge delay and if I need something fast It becomes a waiting game. The visuals within the dashboard are great. Charts are very useful and showcase data in a clear and concise manner without any confusion. these charts are also very useful when comparing brands against each other. I really enjoy the platform as a whole. As a double edge sword, what i dislike is also the simplicity. I find it difficult to search more granular needs. the terms become difficult to define and categorize properly. Netbase is really great but soemtimes if i need a very specific ask, it becomes difficult due to finding the proper queries. I am fairly versed in boolean but, the free form query in this platform is slightly different than what I have dealt with in other platforms. For social listening, netbase is very useful tool that's quick and easy to use. We use this to help with our social listening and competitive requests. Netbase is fast and can help us on the fly without any lag time in population. "Great If You Know What You're Doing "
I like that you can get a holistic view of a conversation online. Typically to uncover valuable insights you will have to run multiple keyword sets, removing things that are skewing the conversation, but the final product can be quite insightful if you know how to use it. You can't get a full picture without supplementing it with other tools. This is primarily because it doesn't automatically pull in all of the Facebook, LinkedIn, or content from all sources at once. I also don't like that often times the most used terms, hashtags, and things are obvious. I'm pulling a report on Healthcare analytics & Healthcare data and the majority of the top terms, hashtags, and things are healthcare, #health, etc. Also it seems like sentiment is a worthwhile metric, like demographics, but in my experience they typically make up such a small percentage of the total mentions or posts that it isn't valuable. Showing an end client the sentiment and then following it up with only 5% of all posts had sentiment period kind of kills that section completely. play around a bit before presenting anything to a client because otherwise you may present some data and realize the next time to play around with it that half of the conversation is missing in your initial read out because of a few missing include terms or something. We're trying to find hot topics of conversation to create content for, join existing conversations, and draw insights and recommendations from the data as a whole. "Accurate sentiment reporting - the stuff of dreams"
There is no other platform that even comes close to being able to analyze sentiment and sentiment drivers than NetBase. My account manager and social analyst team is incredibly helpful, available, and knowledgable. Occasionally I am overwhelmed by the incredible number of options for analysis and the dashboard feature is really confusing to set up (but powerful when you figure it out). The price tag can be shocking, but both you and your clients will benefit greatly from the tool. As long as you plan to utilize it regularly, the investment cost will be recovered quickly. I use NetBase to understand conversation trends as well as identify influential content and users. We also study the behavioral patterns of consumers and their reactions to events, campaigns, etc. Almost any research question can at least be explored in NetBase to get a better idea of where to spend more time going deeper with primary research or additional sources. "Good all round tool, firehose access ensures data sufficiency, audience demographics are useful"
Netbase is the primary tool used for social listening in our organization. We appreciate the reliability this tool delivers in terms of mentions and author counts. The text analytics- especially the different word clouds for brands, personalities etc are useful as well. We also appreciate the fact that Netbase is constantly evolving to include more data and features. Their customer support is responsive and helpful. We also use their Pulse dashboards, which are a quick and easy way to read real time data about major events. The key downside of netbase is the difficulty faced in drilling down to local geographies outside the US (and posssibly Europe). While country is easy enough, state and city are a problem. Netbase is a strong all round social listening tool. It allows a large degree of qualitative and quantitative analysis, as well as allowing you to track conversations on owned media (FB pages). They've recently added Facebook topic data as well, although our organization is yet to use this service. WE use the tool to glean insights on our content, marketing, distribution and broadcast technology. "Social intelligence at your fingertips"
I love the emotional intelligence built into the platform. This tool provides a level of insight that we otherwise wouldn't be able to receive. It also saves my team hours of manually analyzing comments from a wide variety of sources online. The word clouds are so useful to incorporate in presentations. The stream lets us dig in to each individual comment so we can reach out to those that have used negative sentiment to turn them into a brand advocate. No major complaints. I would like to see Pinterest integrated into the platform in the future. The NetBase team offers tools training and support when needed. We've had a great experience with the enterprise level account at L'Oreal USA. If you want insights, this is the place to get them! There are so many features and functions of the tool, my team is just scratching the surface. Take the time to learn all the tool has to offer. So much to love! We use the tool to review word clouds, keywords that drive sentiment, to understand what posts are most popular and to even see the top authors contributing to our content. The sentiment drivers are very useful to help us understand where we are successful, but more importantly, where we can improve. It also helps us operationally to identify issues before they're reported through customer service channels. "NetBase Review from a Health Insurance Company"
NetBase has a nice interface, and you can zero in on the information you need. Given the complexity of our business, we have to drill down to very specific audiences, and NetBase is a tool that's flexible enough to let us get there. It can be a bit of a challenge to filter out some of the noise, especially when I'm searching for business-to-business results. Getting social data only from B2B audiences isn't an easy ask, though, and I think that future releases of the product will help. I use social listening to get us information about how the employer (B2B) audience feels about our brand, and also about topics that are related to the health benefits industry. The benefits we've seen center around getting us valuable intel on industry trends and moods, and also information about what we can do better to educate and help our customers. I love the interface its very seamless and has the strongest capabilities compared to other vendors. "NetBase is a very powerful platform"
NetBase is well suited for research, new business, and diving into broad topics and finding subtrends.It also does a great job of getting to a deeper level of sentiment and behaviors/attitudes that some other platforms through NLP and the use of themes (with more accuracy). The highly flexible platform ensures that you can cut and filter your data in just about any way imaginable, and it's done very quickly. For research projects where historical data is important, NetBase can go back 2 years without additional fees (competitors often charge a fee for more than 30 days historical). 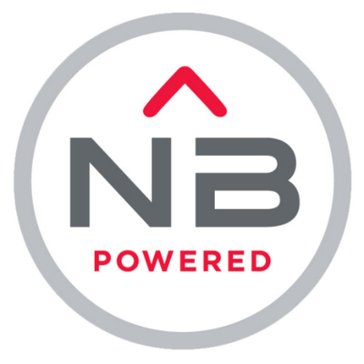 NetBase is being used by our insights and measurement team, which supports business units through the entire agency. The platforms addresses our needs for planning and research (for RFPs, ideation, hypothesis validation, etc.) as well as for some measurement practices like campaign tracking and ongoing social listening for social accounts. We address business questions like: what are people saying? why are they saying it? what is driving their behaviors? who are they? what are they interested in? how do they feel about the topic? where are they in the purchase lifecycle? and more. I love that Netbase allows you to slice data so many different ways. The number of different filters are your disposal is amazing. Really helps to get to narrow in on what you're looking for. I think that the system could use an overhaul in terms of aesthetics. Some of the functionalities, like the dashboard, seem pretty lackluster. I also would love to see the ability to categories saved analyses into different folders. Would make it much easier to find what I need when I need it. We use Netbase to better understand the VOC in our research projects. Whether we are identifying trends, figuring out whitespace opportunities, or using insights to guide our greater research project, Netbase has been an incredible tool to have in our toolkit. Obviously Facebooks change in algorithm is a step back for social listening tools where we can only track the public feeds/posts... It would have been nice for netbase to automatically pull the public post data. Instead, you have to plug in a "Facebook profile" where it reads related data to that page and still leaves little room for Facebook data. Use the online assistant it really helps! Currently, I look at conversations with clients, brands, and try to identify trends and weighted conversations to leverage and further learn what interests spark and possible issues that may live in a social space. "Great Solution for Social Listening & Insights gathering! " I've used many social listening tools, but NetBase has been by far one of the most intuitive and best solutions. We are able to quickly build queries in Boolean or assisted format and quickly dive into conversation insights. The customer service is AMAZING! This tool is best suited to find audience and conversation insights, but it needs a little more work on the measurement and analytics piece. Nonetheless, I have truly enjoyed using this tool! This tool is worth the cost if you'll be using to derive insights for social strategies, audience profiling, content calendars, and new business pitches. Understanding who is talking about our products and services and being able to map that audience and their conversations online. This tool quickly allows you to derive insights and dig deeper when there's an interesting nugget of information. "A great way to learn more about social chatter"
There is not one specific thing that I like best about Netbase, I'm a researcher and Netbase is my favourite tool to use to do this research. I try and use it for my clients wherever possible as it is just so insightful and you can tell clients things they genuinely wouldn't know otherwise. There are some functional issues- although none I can think of off the top of my head. It's things like when I'm using it I wish it could combine two functions for example but I'm sure this will come, it has already been made loads better. Netbase are constantly reviewing and updating features and creating new ones. Every month we receive updates including all the new features/charts etc. We are currently using it for tracking buzz around a new product launch, we have also done wider trend pieces and market overviews for brands and for categories. The question we get asked the most is- what is my share of voice online and we quite often use it for this. The depth of data available at your fingertips. NetBase's data pints far exceed any of their competitors. The user interface could use some work. There is a sharp learning curve when transitioning from a different tool and sometimes I worry we're only scratching the surface of NetBase's capabilities because it's cumbersome to navigate. It was streamlined our reporting process saving us dozens of hours a month, which has allowed us to focus on larger business problems for our clients. "Great Product and Phenomenal Support"
Over the past decade, I’ve had the pleasure to experience the evolution of the social intelligence field. NetBase has proven to be more than just a social intelligence tool. It has by far some of the best features in the market, inclusive of cross-tabs, geography to the city and metro level, the Brand Passion Index, and automated alerts that are life savers. Product support is another HUGE bonus with NetBase. From our account manager to our dedicated analyst, the team absolutely rocks! Onboarding was smooth, efficient, and thorough. They took the time to ensure that everyone on our team understood the product and functionality. Additionally, the NetBase product development team constantly releases new features in a timely manner. From the top of the organization down, this is a great group of people. The platform is very sound and the only thing that I would add is historical data that is over 27 months. Granted most platforms do not include historical data at all, so the 27 months of data that the platform has access to is already a bonus. I would highly recommend NetBase to any agency that is looking to improve their social insights. Great product! Since our implementation, we’ve had a huge client crisis that we were able to provide mission critical intelligence. By using a mix of NetBase’s features, we were able to qualitatively and quantitatively analyze the conversation surrounding the crisis. This was extremely critical as we were able to sift through the noise and identify key issues that needed to be addressed. Seeing what NetBase is able to deliver and how you can use data to impact client strategy and business goals. It would be a greatl add-on if the software offered an app for mobile use. NetBase uses data to figure out how a consumer feels about a product and also identifies influencers that can help grow your brand. NetBase can help you make better sense of the data you are getting from your website and social channels. "Consumer Insights, at your fingertips"
Being able to tap into the mind and conversations of actual consumers is invaluable. Whether it's from an industry, brand or competitive perspective - we're able to glean insights from real people. Not your fault, but the lack of data we can access from Facebook and Instagram causes some issues from our clients. Typically we look at Brand Health, and measure against competitors. Something I've realized recently, and am working to roll out better is audience insights. Cost structure and limited license options - can share access or dashboards that are live without paying incremental money. Good for a small team that pulls and shares insights. Expensive to support a large team that wants direct access. Understanding what consumers care about, how they feel about specific topics, brands, products and cultural moments. My favorite part of Netbase is the charts that the platform generates. It's good to use those chards and word clouds in decks for internal and external use. It's hard to figure out the right way to search for something. I've had to play around a lot to figure out of I should use just "primary" terms or if I should use both primary and secondary terms when trying to figure out results. On Red Lobster, we were trying to see the conversation around the new loyalty rewards app that was about to launch. The client wanted to see if people were talking, and if they were, what were they saying. We used the word clouds and charts to help show the conversation to our clients. "Great Tool With a Learning Curve "
I enjoy that I am able to analyze different companies using tools offered by Netbase. I frequently create new topics and then analyze on a yearly, monthly, and quarterly basis. It is also easy to look at sources and popular sentiment and I use this frequently. I would like in demographics to be able to easily specify that I only want to gain information from a certain country or even just from a specific state. This would better help me reach my target audiences in different parts of the country/world. I would also like it to be easier to use the (twitter) firehose attachment and for longer periods of time. A great product for company and topic analysis. I have realized that Netbase is great for quick stats on topics that would have taken me hours of analyzing forums online to get the same results. I would rather create a topic, plug in a primary term, maybe some secondary terms, and just click analyze to get great results and incites into a topic. "Can’t live without it "
It is so easy to set up a dashboard to listen in on any social conversation you’re looking for. It takes a long time to learn what all you can do. The basics make sense pretty fast, but I wish it were easier to learn new tricks. Do the online video training before you start! You will be lost without it. This allows us to go in to any new business pitch or new project with some foundational knowledge. It helps guide our larger initiatives and creativity. "Great tool for conversation tracking "
The tool is great for tracking conversation volume. I especially like that the conversations can be extracted for evaluation. One particular capability I enjoy is viewing which posts are gaining the most traction surrounding a topic of choice, which can then be used to show examples of user-generated content. In addition, differentiating between owned and earned content is great. One drawback, is that whenever I would apply a language filter, at times the results come off a bit wonky (e.g. receive zero conversations). Not sure if that's a glitch. A simple fix is me just building a topic with your desired language (e.g. one in Spanish and one in English). "Excellent Social Listening tool "
Netbase can solve a variety of business problems and questions, from campaign performance overviews to investigating the competitive landscape. The interface is relatively user friendly and they are constantly releasing new and improved features/functionality in conjunction with social platform changes. Although the frequent changes to features is helpful, it can also be challenging to become an "expert" with this tool. This is mostly due to the nature of social media constantly evolving, but I think regular training sessions are essential in order to stay up to date with the tool and to leverage it to its full capabilities. We use Netbase for a variety of business needs, but most noteably, for New Business or campaign development research. We have used netbase to help identify the competitive landscape for clients/ potential clients, and help identify overall sentiment and opportunities in the market. I also frequently use Netbase's dashboarding capabilities to quickly compile useful data and widgets to answer specific business questions and share with the wider agency/clients. * We monitor all NetBase reviews to prevent fraudulent reviews and keep review quality high. We do not post reviews by company employees or direct competitors. Validated reviews require the user to submit a screenshot of the product containing their user ID, in order to verify a user is an actual user of the product. Hi there! Are you looking to implement a solution like NetBase?